Okay, it's not exactly the beginning of the week. Lets go back to Saturday 8th November. 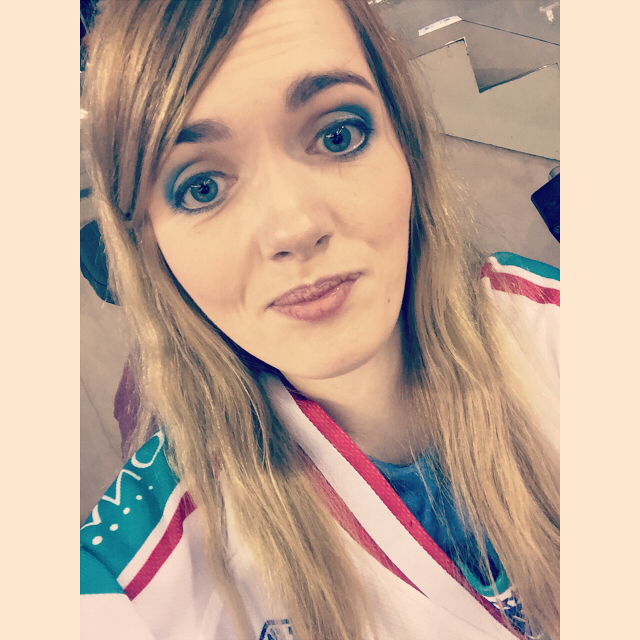 I mentioned in an earlier post I had a Belfast Giants ice hockey game to go to. I went with my aunt Karen. I don't know if I mentioned, but after getting my teal jersey during my stay in Belfast, the custom one I'd ordered over a month ago finally arrived. I figured I'd get at least one wear out of the teal one before my white one arrived, but nope. I had to make a choice. It was like a really low stakes version of Sophie's Choice. \i wish I'd taken a photo where you could see the size difference. My white one drowns me quite a bit. I ended up wearing it to the game, and my granny couldn't get over how big it was. She kept saying "Oh Sara, that's far too big. There's big and then there's big! That's far too big." And because she has Alzheimer's you can imagine how many times I had to hear about it. Personally I don't think it looked as ridiculous as she did. The game was great. I'm sure you're bored of hearing about ice hockey games by now. I'm sorry. At this particular game they were raising money for Diabetes UK Northern Ireland. So they had special blue and white jerseys and urged everyone to wear something blue in support. 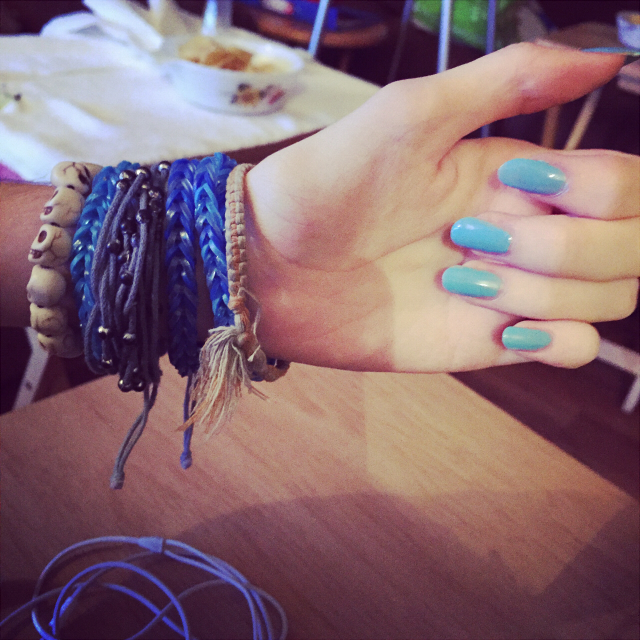 I fashioned myself some blue loom bracelets and painted my nails blue. I also wore blue eye shadow, blue jeans and a blue vest under my jersey. They were raffling off the special blue and white jerseys and my aunt Karen and I both bought a ticket each to donate. They sold out of the 3000 tickets they had, which were £2 each. Meaning they raised £6000 with that alone! Pretty cool. Sadly neither of us won. There was also a massive crowd of over 6000 people there! It was such a electric atmosphere. Along with the charity aspect of the night, another reason for the turn out was the debut of a new player Kevin Westgarth, a former NHL player and Stanley Cup winner. We had been told he would be 'a presence on the ice' and he didn't disappoint, scoring a goal in his debut match! 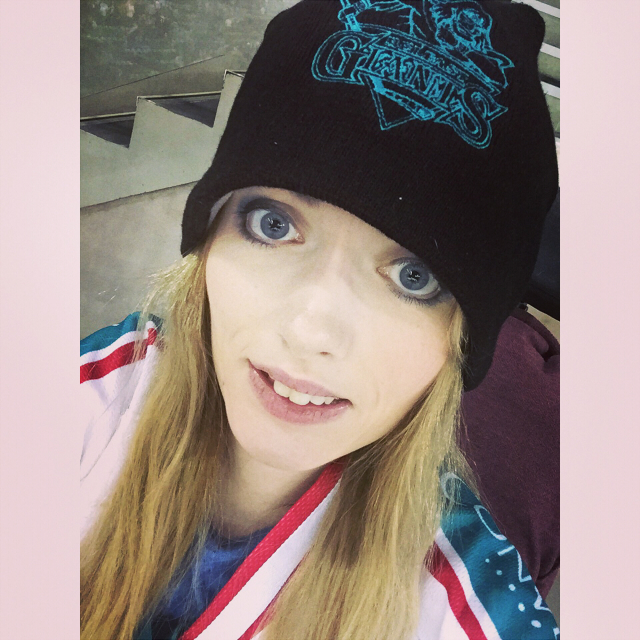 I also treated myself to a Belfast Giants' hat. I'm not usually a hat person and it's a little big, but as far as being a fan goes I think I'm really starting to look the part! The only down side to the night was in the first 30 seconds our goalie Stephen Murphy was injured with what we later found out was a full tear on his groin. So Andrew Dickson our token Norn Irish player had to play the rest of the game. He did awesome though, and we won 7-4. On Sunday 9th November my sister and I decided to go and do a little shopping. I can say this is when Christmas shopping officially began! ...Albeit mostly for our pets and ourselves, but we DID also get my older sister part of her present. 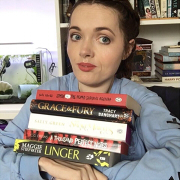 I think I'm going to leave discussing what I've bought people until after Christmas, in case they should stumble upon my humble little blog. The stuff in the photo to the right are pre-Christmas things I bought Edwin and myself. Eva and I decided to get our Chihuahuas stockings to put their presents in. 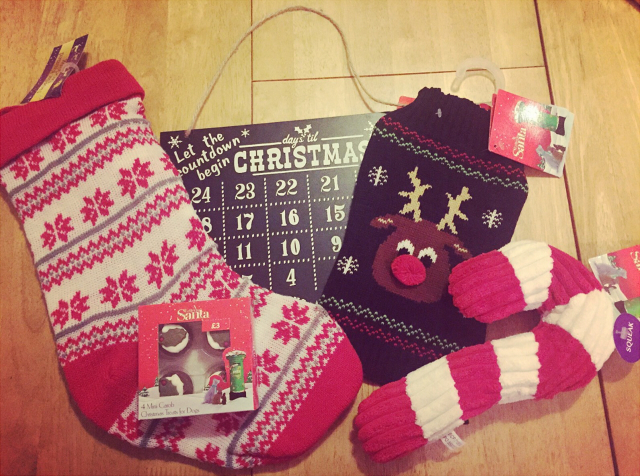 Those and the Christmas countdown chalk board were £1 each from Poundland. I got Edwin a Rudolf Christmas jumper for £10 from Pets At Home to match his mummy! (Eh, that's me by the way). We got some carob Christmas pudding dog treats that were £3 from Pets At Home to split between our dogs to see if they like them for future reference. They went down a treat! And lastly is the candy cane squeaker plushie, which was £4 from Pets At Home. Other things I bought that aren't pictured were a couple of wax melts from Yankee. Loving the Yankee store at the moment! Fast forward to Tuesday 11th November. Learning Support from tech called, but I was still in bed so Eva took it. Basically my classroom assistant was off sick all week and I had three options. I could try and go it alone, they could try and get me a cover assistant but it was quite short notice, or she told Eva she could go along with me. Eva was working, but she got a shift change and finished work early to come with me. I didn't want the first night I missed from tech to be something that wasn't my fault. I was so grateful Eva was able to take me. Though, I think that may have been a little bit where my anxiety came from this week. I was a little nervous. 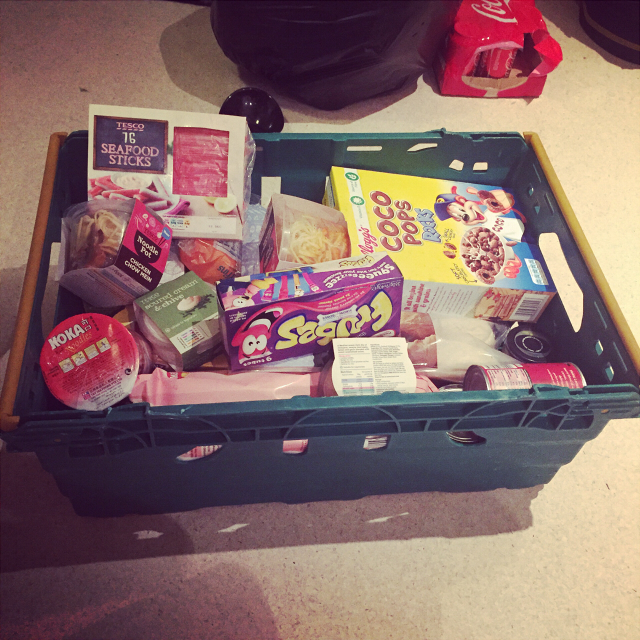 On Tuesday night Eva and I ordered a bunch of food from Tesco to practice for when we move out, I guess? Also because in the lead up to Christmas my parents buy less food to eat, and instead buy food we're not allowed to eat until Christmas. It's torture every year. Anyone else's parents ever do that? The food arrived on Wednesday night and we got some great stuff, but I'm one of those people that never wants the food that's available to them. I thought buying my own stuff would help with my lack of appetite, but it hasn't as much as I'd hoped. I say lack of appetite, but it's not that simple. I'm super hungry all the time, but can't bring myself to eat anything. That's why Christmas is my favourite time of year. Christmas dinner never lets me down, no matter how picky my stomach is being. Finally Thursday 13th November rolled around and it was mine and Eva's big night at tech. I always get a little bit of anxiety before class, but it was worse than usual. It's not that I didn't think Eva would be great. I guess it was just that we were doing a group role play thing and I was worried I would feel self concious in front of my sister. I needn't have worried. It felt very natural having her there. I don't know how Eva stayed awake though as she'd been working from 9am and she only had about 30 minutes between getting home from work and leaving for my class. We started off with the role play. The scenario was a shopping centre being built on the outskirts of a town and we had to play different for and against parts. I was a young unemployed person. I figured that was a pretty easy part to play considering I am those things. It went pretty well, however because the teacher has to monitor the different groups by herself she can only do one at a time. I ended up saying most of my part when she wasn't there, so she asked me to repeat it. I was a little annoyed because I felt it was more forced the second time round and not as natural. So I think my grade will suffer for that, but oh well. After that the teacher read us the first section of Of Mice and Men, stopping to discuss it at certain points and then we did a reading task. I did not do well. I'm going to have to redo it for homework. I hate doing work in class. Eva says I over think things instead of trusting my answers and just writing what I think, and end up not having time to barely write anything. At home I have more time to think things through, plus I'm physically more comfortable than I am in class as my desk is too low to write comfortably. Things haven't really clicked with Of Mice and Men yet, but it's still early days. Hopefully it gets better. Another good part of having Eva go with me, is now when I tell stories about class she'll know who I'm talking about. Yesterday, Friday 14th November was pretty uneventful. I think I needed a chill day. Eva and I watched the latest episode of American Horror Story: Freak Show. I'm really not enjoying it as much as I hoped I would. I also watched the latest episode of The Vampire Diaries, which I am enjoying. It's actually been really great this season, in my opinion. I didn't watch much of Children In Need last night, instead working on some blog posts. I did however donate. I also finally participated in Operation Christmas Child in a little bit less of a conventional way, which featured in last night's post. You can read about that here. This weekend I'm doing a little bit more Christmas pet shopping, visiting my grand parents and then tomorrow night my dad is taking me to another ice hockey match. 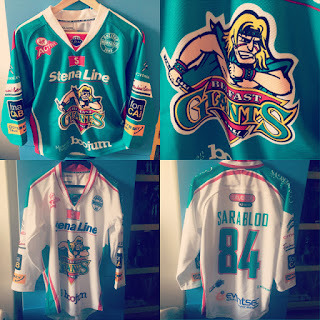 Another exciting one as it was announced this week because Stephen Murphy our goal tender will be out for some time with his injury, the Giants have signed a replacement until his return. It's Carsen Chubak's debut game tonight, but his first home game is tomorrow night. So that's something to look forward to! How's your week been and how's your weekend shaping up?